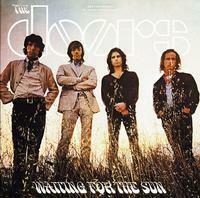 Waiting For The Sun was also some of The Doors' most combative, political work. "The Unknown Soldier" was a barefaced antiwar attack, a reaction to the Vietnam-era hostilities brewing on the home front. Analogue Productions and Quality Record Pressings are proud to announce that six studio LP titles — The Doors, Strange Days, Waiting For The Sun, Soft Parade, Morrison Hotel and L.A. Woman — are featured on 200-gram vinyl, pressed at 45 rpm. All six titles are also available on Multichannel SACD! All were cut from the original analog masters by Doug Sax, with the exception of The Doors, which was made from the best analog tape copy. I've ordered all of The Doors on 45 rpm and the most significant word that comes to mind is outstanding! I've been listening to theses recordings for years. From early pressings to the gold cd's that I thought were pretty awesome. These pressings are the absolute pinnacle of audiophile gold. I've heard things I've never heard before in these songs and the vinyl is dead quiet. Open your wallet and buy these. You will not be disappointed! Chad this is a home run. If you can do The Beatles like this I would be in heaven.